Use Expedited Shipping to get it by 26 Apr. Mother 3 Earthbound Nintendo Game Boy Advance Gameboy GBA ENGLISH!! 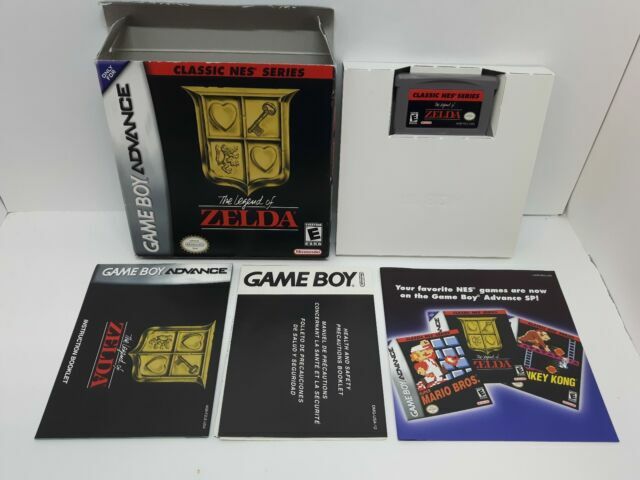 Released in celebration of the 20th anniversary of the hugely influential Nintendo Entertainment System console (which first appeared in Japan as the Famicom, in 1984), the "Classic NES Series" of Game Boy Advance cartridges present accurate versions of original NES games, for play on the handheld. In Castlevania, you take the role of Simon Belmont to defeat the most terrible of vampires. You are armed with a whip, which can be upgraded from "leather," to "thorn," to "Vampire Killer" if you find the right power-ups. Throughout the seven-stage adventure, Simon confronts such horrific entities as Frankenstein, Medusa, and Death, but his true purpose comes in the final confrontation -- an all-out battle with the infamous Count Dracula. Free shipping on all eligible items from marioplace, when you use the cart to make your purchase. US $0.50 shipping for each additional eligible item you buy from marioplace, when you use the cart to make your purchase. Immediate payment of US $66.45 is required. A good platformer! A sure-fire classic! Buying this game was totally worth it. It is a good and authentic way to introduce yourself into the Castlevania series if you have a GBA or Nintendo DS Lite. This is an excellent version of Castlevania ported over from the original Nintendo Entertainment System to the Game Boy Advance. The graphics and the game play are a carbon-copy of the original NES version of Castlevania. This is an awesome game on-the-go and all around! If you like the Castlevania series of games you definitely have to try the original Castlevania for the Game Boy Advance! Castlevania just as you remember it! This is the original Castlevania from NES ported to the Gameboy Advance. The best and pretty much only addition is the save feature which lets you save your progress after defeating a boss character. I very much enjoy this game but must not be as good as I used to be since I'm still struggling to reach the final boss. 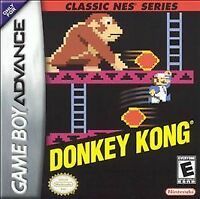 This is a very difficult game but for fans of the series, very much worth having in your collection. Castlevania is a perfect emulation of the original NES game released in the mid-80s, introducing Simon as a vampire slayer on a trek through a castle with whip in-hand. By slashing at lamps and wall structures, players can upgrade Simon's abilities with a longer whip, or enhanced undead-slaying weapons such as daggers, cross boomerangs, time-freezing clocks, or high-arch axes. It's a platformer by design, requiring players to skillfully leap from ledge to ledge while avoiding (or killing) enemies that get in the way.